The PB 2000 series machines are true workhorses at medium to high runs. Designed for continuous daily use in offices, law firms, schools, government agencies, copy shops, and small print shops. 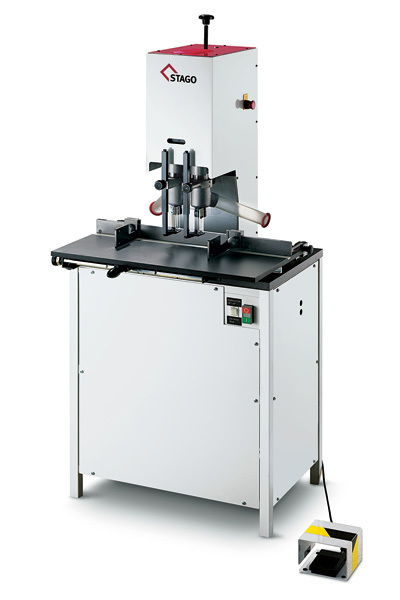 The machines enable consistently accurate double-punched holes in paper stacks of up to 60 mm. The ergonomic machine design allows an almost effortless operation by hand lever or foot pedal. For maximum productivity and performance, we recommend the automatic spindle stroke. Freely adjustable drill spacing and the sliding table with programme shaft (6 hole patterns) enable economical use even for small volumes. Besides paper, other materials such as cardboard, textiles, leather, and plastics can be machined with hole diameters of 2-15 mm.